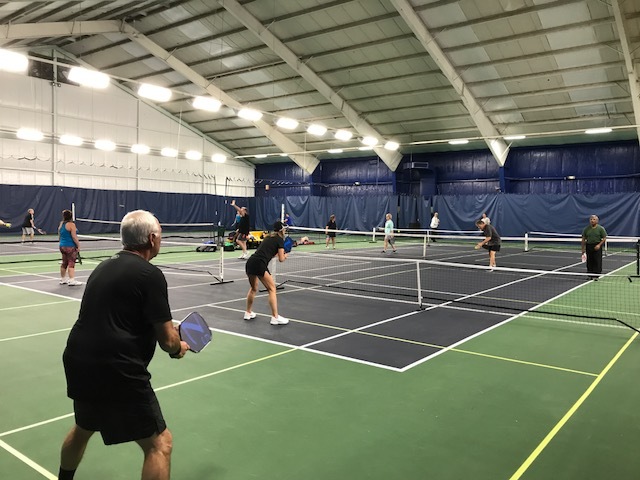 NHHR is now offering Pickleball – the fastest growing sport in America! 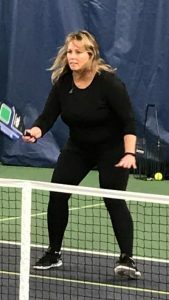 Pickleball is a simple paddle game played using a perforated, slow-moving ball over a tennis-type net on a badminton-sized court. The rules are simple and the game is easy for beginners to learn! Grab a paddle, and come down to the court for a unique blend of table tennis, court tennis, and team communication. If you do not have a paddle we will lend you one! We have designated day and night programs as well as social events with appetizers and drinks! We welcome Toby Neubig to NHHR to lead our growing Pickleball program. Toby is a PPR Certified Instructor, USAPA Ambassador and Sponsored Dealer for Paddletek. 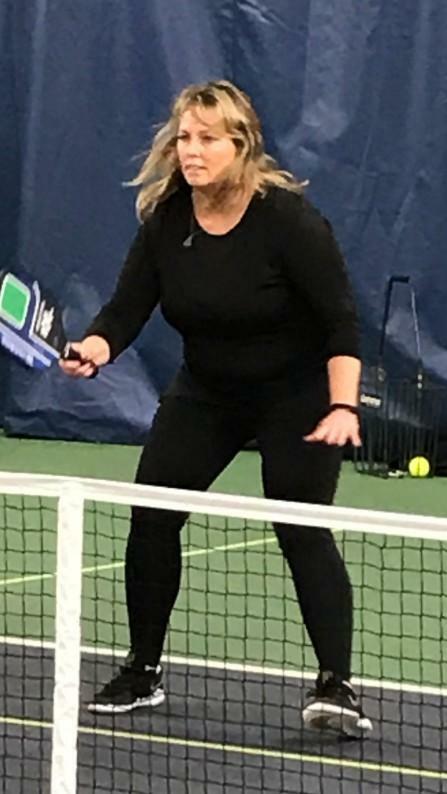 She is a life-long athlete and tried her hand at pickleball 4 years ago. She was immediately hooked and has since come up through the ratings, competing at the local, regional and national level. The highlight of her tournament play is the gold medal in women’s doubles at the 2018 US Open in Naples, FL. Toby brings energy and fun to the court and is eager to expand our program with new session times, private and group lessons, socials and tournament play for all levels. Please feel free to contact her at toby@nhhr.com with questions and also feedback on what you would like to see added or improved upon. Click here to learn more about Pickleball & how to play! 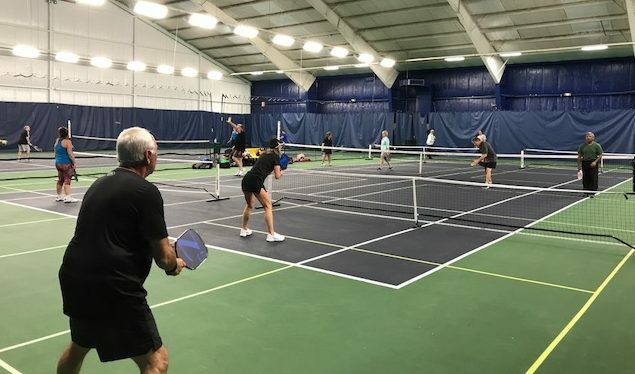 Check out our Events Page for our current Pickleball schedule & special events!